Did Egypt's Old Kingdom Die—or Simply Fade Away? Conventional wisdom holds that Egypt's Old Kingdom collapsed around 2150 B.C., soon after the death of pharaoh Pepi II, whose pyramid is now a pile of rubble. But experts are now questioning that view. 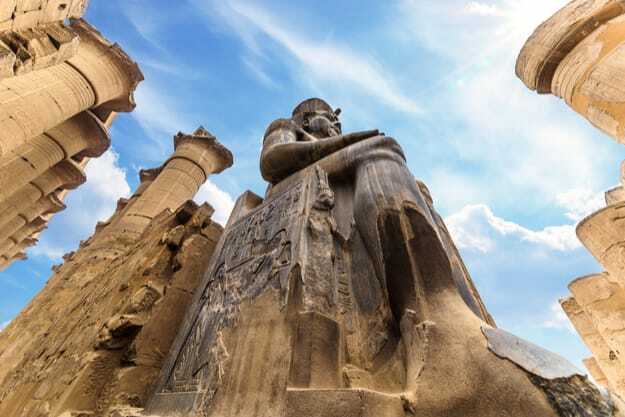 For nearly a millennium, Egypt's early pharaohs presided over a prosperous and wealthy state that built countless temples and palaces, enormous public works, and the famous Giza pyramids. Much of that prosperity depended on the regular inundations of the Nile River in a country that otherwise would be only desert. A copper statue of Pepi I still flashes limestone-and-obsidian eyes. The pharaoh's pyramid was looted during a chaotic time scholars call the First Intermediate Period. Then, around 2200 B.C., ancient texts suggest that Egypt's so-called Old Kingdom gave way to a disastrous era of foreign invasions, pestilence, civil war, and famines severe enough to result in cannibalism. 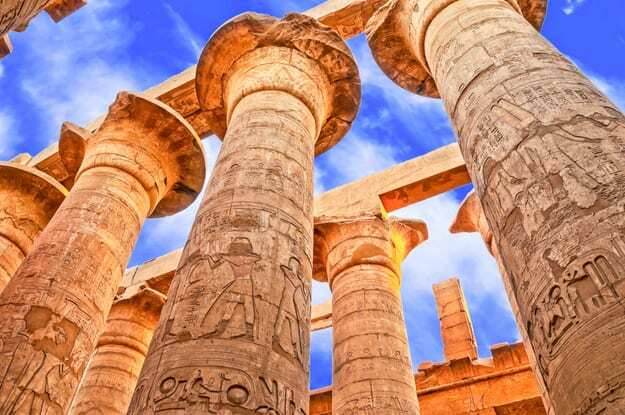 In the past decade, climate data revealed that a severe and long-term drought afflicted the region during this same time, providing evidence of an environmental trigger that led to what has long been considered a dark age of Egyptian history. But a number of Egyptologists argue that the simple story of a drought resulting in an abrupt societal breakdown doesn't hold water. 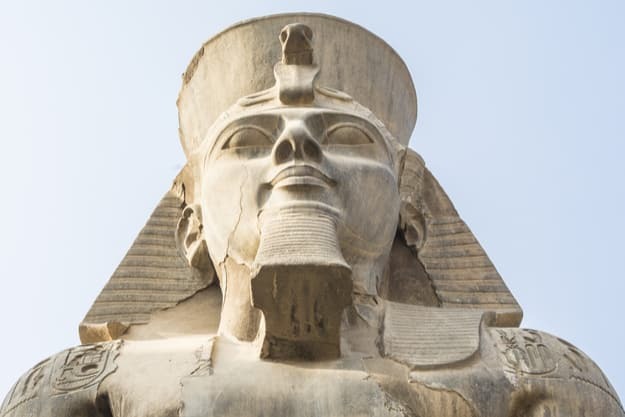 "The majority view today is that the Old Kingdom did not come to an end all of a sudden," says Thomas Schneider, professor of Egyptology at the University of British Columbia. Instead, he and others say that climate stress affected different parts of Egypt in different ways—and not always for the worst. "We need to move away from this idea of collapse," he says. Much of the 20th-century view of the period between the Old Kingdom's demise and the start of the Middle Kingdom—what Egyptologists call the First Intermediate Period—is based on a text called the "Admonitions of Ipuwer" that tells the story of a society in turmoil. "Everywhere barley has perished and men are stripped of clothes, spice, and oil," reads one passage. "Everyone says: 'There is none.' The storehouse is empty and its keeper is stretched on the ground." Many scholars believe that these texts were part of a genre devoted to upholding the power of Middle Kingdom pharaohs by frightening subjects with stories of the terrible consequences of life without firm central control—a theme that echoes to today in modern Egypt. "The Egyptians themselves were fascinated by the concept of collapse," says Barry Kemp, an archaeologist at Cambridge University. But the texts, he adds, don't appear to be records of actual events. Are these emaciated Egyptians during a time of desperate famine? Perhaps. But this relief may also show nomadic Bedouins who are starving because they live outside the pharaoh's care and attention. But Schneider argues that the impact of the drought was gradual enough that society adapted without major disruptions. Power slowly devolved from the pharaoh and his capital at Memphis to provincial leaders. Local officials could respond to farming crises faster and more effectively than a distant ruler. "The situation required people to be ingenious," says Schneider, who spoke at the recent American School of Oriental Research meeting in Atlanta. There is no sign of civil war during this time in the archaeological record, adds Nadine Moeller, an archaeologist at the University of Chicago. She notes that "there is evidence that the country remained politically unified" long after Pepi II, traditionally considered the last Old Kingdom pharaoh. Schneider notes that the fiscal system remained in operation and that the pharaoh's power was still acknowledged from the Nile Delta to Aswan a century or so after Pepi II—even if that control was nominal. In Upper Egypt, Moeller has found that the era following the Old Kingdom's decline was a "culturally very dynamic" time in which towns and cities such as Tell Edfu and Dendera expanded and flourished. There may even have been an overall increase in population. There also is no physical evidence for widespread food shortages. Corinne Duhig, a Cambridge University archaeologist, says that her studies of skeletons from the First Intermediate Period "do not show signs of famine; neither do those from the Old Kingdom." Nor did she find an increase in violent death among the human remains that she examined. Kemp says there is some evidence of fighting between neighbors in Upper Egypt as power became more decentralized, "but the scale might have been modest." Rather than a collapse, he sees a change in the way people were governed. A missing piece to the puzzle of the Old Kingdom's fall is the lack of information from Lower Egypt, the region closer to the Nile's mouth that would have been more affected by changes in the annual flood than Upper Egypt. Sarah Parcak, an archaeologist at the University of Alabama at Birmingham, notes that "lack of good settlement data for all of Egypt" makes it difficult to judge the impact of the drought. Parcak complains that "some Egyptologists don't seem to like environmental factors causing collapse," adding that "you cannot argue with hard scientific data." But she acknowledges that understanding just how that climate change affected a society as large and complex as ancient Egypt remains hard to judge. "We need to think a lot more about the role the environment played in ancient Egypt," she says. "And we need a lot more data." In 1817, the Italian archaeology pioneer Captain Giovanni Battista Caviglia set out to explore the Great Pyramid of Giza, a.k.a. Cheops' Pyramid: the oldest of the three three Giza pyramids and the most ancient of the Seven Wonders of the World. Like a lot of Egyptologists of his age, Caviglia's pioneering work led to some profound insights into Ancient Egyptian civilization — but at a cost. Believing there was treasure located in an undiscovered hidden chamber in the pyramid, he used dynamite to blast several holes, causing significant damage. Jump forward 200 years to 2017. "Our top priority is to conduct investigations that are as little damaging as possible." Researchers are still exploring the Great Pyramid of Giza, and uncovered a new hidden chamber in the enormous structure. Unlike Caviglia, though, you wouldn't know just by looking at it. That's because the team of international researchers, operating as part of the ScanPyramids initiative, were able to discover the the large 100-foot space using a non-invasive particle physics-based technique called "muon tomography," similar to the technology that would allow a doctor to X-ray your bones. To get a better a look at the space, in the future they plan to explore it using a soft inflatable blimp-style robot that can enter the otherwise inaccessible chamber through a tiny hole in the wall. "Our top priority is to conduct investigations that are as little damaging as possible to heritage buildings. This is why the ScanPyramids mission started with an extensive use of non-invasive, non-damaging techniques like muography," Dr. Jean-Baptiste Mouret, a senior researcher working on the project, previously told Digital Trends. "And this is why if, one day, a team bores a hole in a 4,000-year old monument like the Great Pyramid, the hole will have to be as small as possible. Ideally, the hole would be so small that it would be invisible." This is just one example of the way that modern technology is helping revolutionize the field of archaeology as we know it. Yes, technology can help lead us to a brighter future, but it turns out that it's pretty darn good at illuminating the past as well. "There is a long history of innovative technology in archaeology, especially in Egypt." "There is a long history of innovative technology in archaeology, especially in Egypt," Mouret continued. "For instance, in the Cheops' Pyramid, there have been investigations in the 1980s with micro-gravimetry measurements, then with ground-penetrating radars, and now with cosmic-ray muons. Several robots have also been used in the Cheops' Pyramid to explore the 'air-shafts.' Beyond this pyramid, satellite imagery was key in many recent discoveries in archaeology, and the list of technologies that have been useful can go on. What may have changed the game in the recent years is the power of modern computers: we can now often analyze, combine, and visualize very complex data on a consumer laptop." It's not just laptops that are helping revolutionize modern archaeology, though. A plethora of tools which have once been available only inside research labs are now affordable and accessible to everyone, including those interested in peering backwards as well as forwards. For example, last year, scientists used readily available Lidar — the tool most readily associated with helping autonomous cars to sense the world around them — to create a detailed map of a long-lost city hidden beneath the jungle in Cambodia. 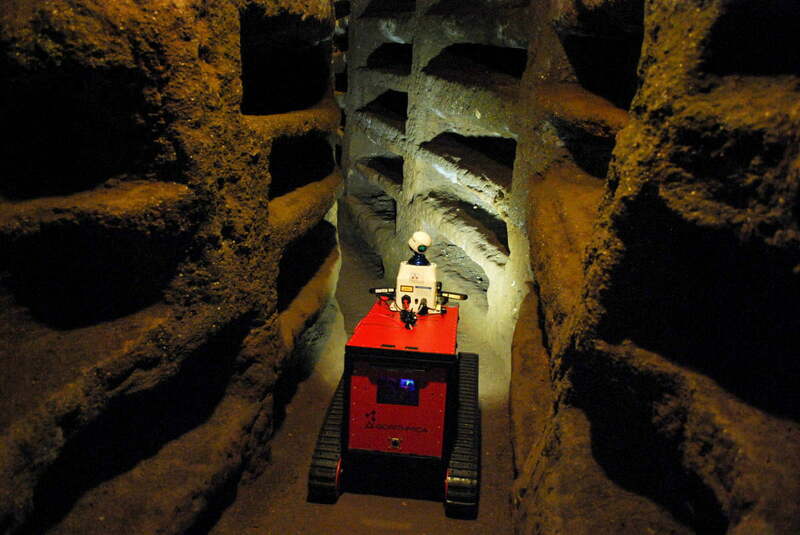 In Europe, an E.U.-funded initiative called the ROVINA project (Robots for Exploration, Digital Preservation and Visualization of Archeological Sites) is meanwhile taking advantage of modern robotics breakthroughs to build robots especially designed to explore historical sites. Just like the Great Pyramid, technology can be used to find new ways to gather data on historical sites that would be difficult or downright dangerous for human beings to explore in person. "Robotics technology has a lot to offer in terms of digital preservation of historical sites," Wolfram Burgard, professor for computer science at the University of Freiburg and ROVINA principle investigator, told Digital Trends. "In particular the ability to more flexibly move the sensors to get to view-points typically not accessible by humans, and to combine multiple views into larger models might play an important role." Some projects have attracted some big names, too. In Germany, Intel has leant its support to Bauhaus University Weimar to use its drones to help protect the region's 15th century Halberstadt Cathedral. Specifically, the project uses Falcon 8+ drones to capture ultra-precise three-dimensional structural data, which can be used to advise on where repairs are needed. VR and AR can be used to transform dusty ruins into vibrant, three-dimensional worlds. "Some of these assets were in such a delicate condition that using ladders and building scaffolding in near proximity to the structures to carry out this task may have caused more damage," Anil Nanduri, vice president and general manager within Intel's New Technology Group, told Digital Trends. "The Intel Falcon 8+ drone was able to do the detailed image capture and 3D modeling without the necessity for close physical contact with the assets." Once this data is gathered using cutting edge technology is can then be presented to audiences in fresh ways too. Virtual reality (VR) and augmented reality (AR) can be used to transform dusty ruins into vibrant, three-dimensional worlds to give a sense of what it was like to be in, say, Ancient Greece at a time when it was altogether less ancient. 3D scanning and 3D printing tools can also be used to help produce either virtual or physical reproductions of objects people would never usually have the opportunity to get up close and personal with. "New generation of innovators are now more inspired by collective multidisciplinary adventures — [such as] space adventures — than by solitary adventurers," Mehdi Tayoubi, president and co-founder of ScanPyramids, told Digital Trends. "Innovation even in archeology is now about breaking the silos between disciplines and countries for collective action in the respect of everyone's contribution. ScanPyramids includes artists, engineers and scientists from Egypt, Japan, France, and Canada." The cross-pollination between these disciplines, Tayoubi suggests, can help find new ways to approach problems. Archaeology is by no means the only field that's currently benefiting from the enormous advances in tech disciplines ranging from robotics and AI to 3D printing and VR. However, there's something kind of brilliant about a subject that's, by design, focused on the past being so proactive about looking to the future for answers. Move over Indiana Jones; it's all about robots here in 2017! The British Museum's project at Shutb is studying the broad spectrum of the village's history – from 2500 BC up until the present day. The local community today can perhaps be considered to be the last historical layer, and the people are therefore important stakeholders in rediscovering this ancient past. Rather than merely looking upon the site as a salvage mission or academic pursuit, the project aspires to appeal to local interests and provide a model for innovative and sustainable fieldwork. Through these initiatives, we want to promote a local sense of ownership and awareness by engaging with the public. The project is using film and storytelling as a tool to explore various ways of connecting or reconnecting the people in the local community with their heritage. The aim is to build the importance of recent history, both tangible and intangible. This will increase people's appreciation for recent history, and we can use it to create a model for a better understanding of the past. The film's production coincided with the initial survey phases of the project, which defined the scope of what is perceived as heritage and, as such, worthy of preservation. 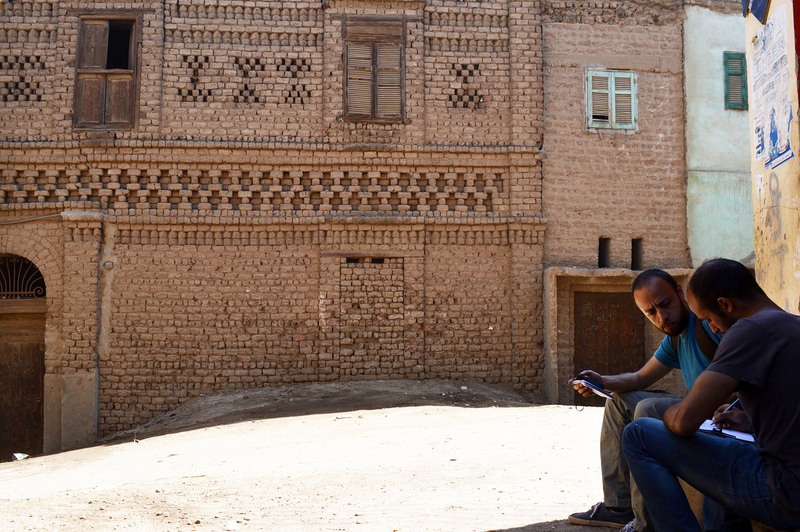 Shutb is an outstanding example of traditional vernacular brick architecture, increasingly at threat in Egypt as people move towards red-brick, cement and breeze-block architecture. Alongside the architectural documentation of this heritage, the film explores how traditional historic buildings, street fabrics and public spaces are perceived, used and reimagined by local communities. You can find more information on the project on the Museum's website. CAIRO – 21 December 2017: Today, Ancient Egyptians captivate the minds of people around the world because of their extraordinary contributions to civilization. 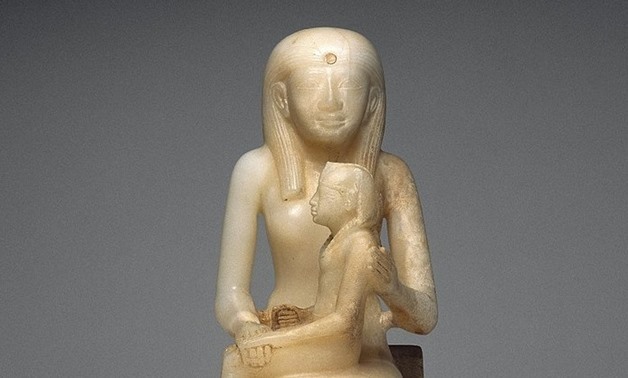 Egypt Today presents a glimpse on the greatest queens in Ancient Egypt. 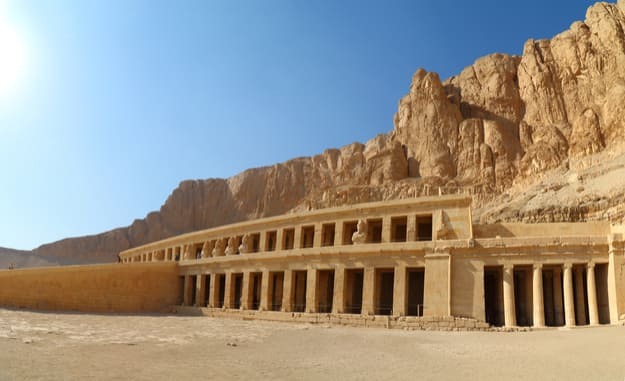 The latest archaeological discoveries in Saqqara archaeological site revealed some secrets regarding the sixth dynasty, especially Queen Ankhesenpepi II. One of the latest archeological discoveries in Saqa was unearthing a wooden statue for a woman's face, which has been connected with Queen Ankhesenpepi II. As one of the greatest queens in the history of the sixth dynasty and Ancient Egypt, she was the wife of King Pepi I, and the mother of King Pepi II who ruled Egypt for 94 years, according to legendary historian Manetho. Born to a nobleman Nahu and her mother Nebet, the first female vizier in the history, Ankhesenpepi had a sister called Ankhesenpepi I. Both sisters got married to Egypt's king Pepi I, and both delivered two males babies. The son of Ankhesenpepi's I was Merenre Nemtyemsaf I, while Ankhesenpepi's II son was Pepi II. Merenre Nemtyemsaf I ruled Egypt for only a few years after the death of King Pepi I. When King Pepi II was crowned at the age of six Queen Ankhesenpepi II became the guardian of the throne at the beginning of her son's reign. In 1998, Ankhesenpepi II was discovered in Saqqara and the pyramid carried many inscriptions indicating her title as "Queen Mother." More recently, a number of her belongings were discovered, including her mummy and part of an obelisk dedicated to her. Take a closer look at the ancient Egyptian treasures of Luxor. 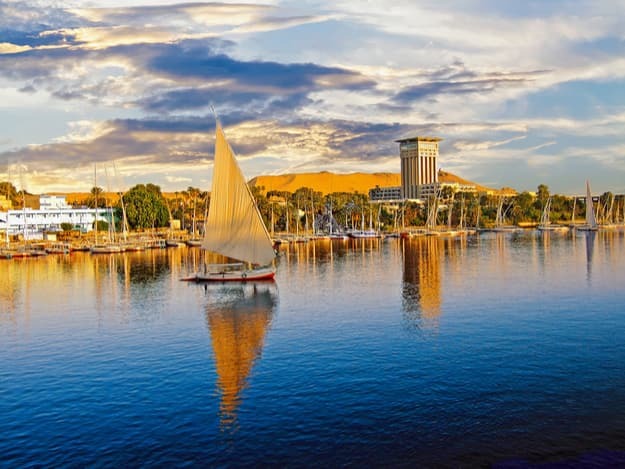 Luxor city today is largely run by the revenue from tourism, and its people are naturally open, welcoming and friendly towards the millions that make their way to the city. The city is said to contain around one-third of the world's most valuable antiquities and monuments, which is why its heritage sites are so important to see for everyone. 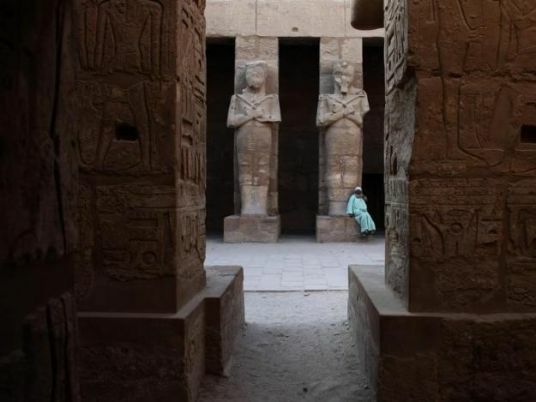 Hundreds of keen tourists and Egyptians braced the cold breeze to watch the Thursday morning sunrise at the sanctuary of the ancient Egyptian god, Amun Ra, in Luxor's famed historic Karnak Temple. Attendees witnessed the sun's alignment on the Temple of Amun, which is located inside the Karnak Temple. The Governor of Luxor Mohamed Badr, the Mayor of Luxor City Osama al-Mandawa, and representatives from the tourism sector in Luxor were in attendance for the once-a-year phenomenon. Attendees watched the sun rise at 5:30 am, and followed the movement of the sun's rays across the temple until they fell perpendicular at 6:42 am on Amun Ra's Holy of Holies (the center of the temple, a place in which only the high priest could enter in ancient Egypt). 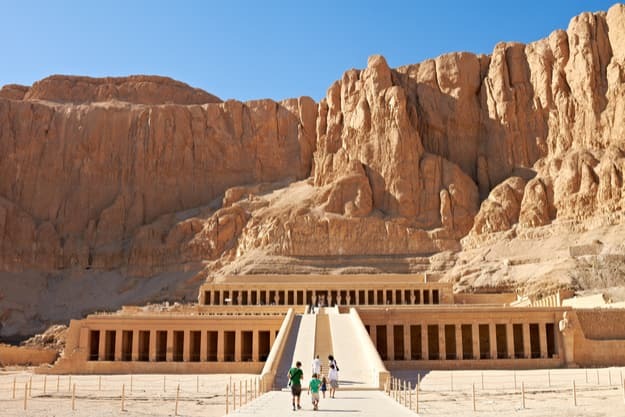 The phenomenon continued for 20 minutes, before the sun's rays moved towards the gates of the temple heading west, toward the temple of the fascinating female pharaoh, Hatshepsut. Ahmed Awad, an Egyptian researcher specializing in the documentation of astronomical phenomena in the temples of ancient Egypt, says the sun falls perpendicular on Amun Ra's Holy of Holies on the same day every year, a day which marked the beginning of the winter season in ancient Egypt. 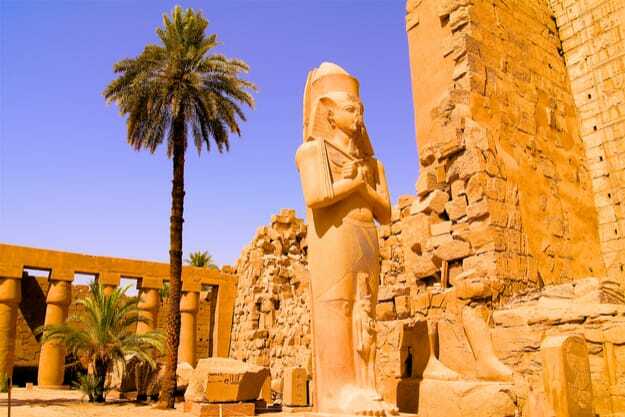 The Karnak Temple is one of the most striking and impressive temples built by the rulers of ancient Egypt. 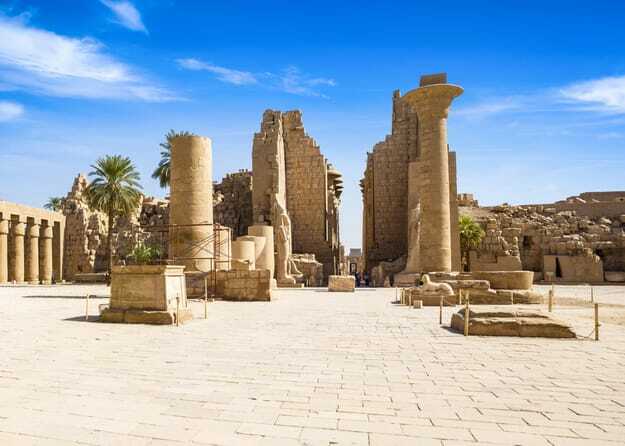 It stands as a historical record of the Egyptian civilization from the 12th Dynasty until the rule of the Ptolemaic Egypt, says the Chairman of the Egyptian Association for Tourism and Archaeological Development, Ayman Abu Zeid. Abu Zeid seeks to put the phenomenon of the sun's alignment on the temple's Holy of Holies on the ministry of tourism's agenda of events, in order to help spread international and local awareness of the once-a-year event. 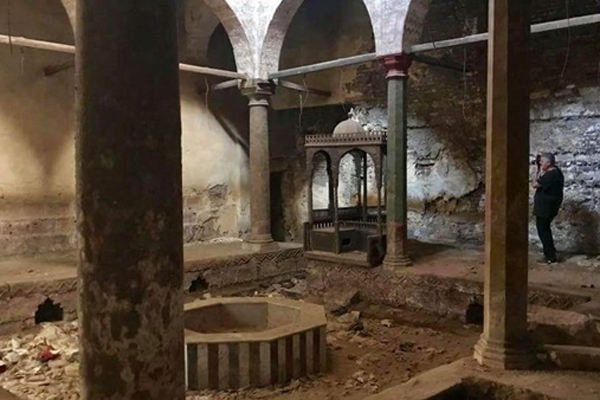 Egypt's Ministry of Antiquities will restore the Al-Sharaybi bathhouse in Islamic Cairo in collaboration with the Egyptian Heritage Rescue Foundation. 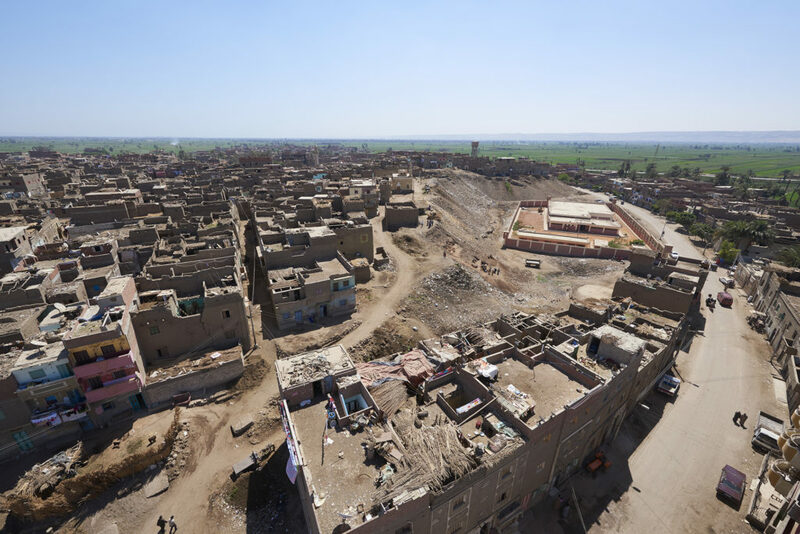 Mohamed Abdel-Aziz, director-general of the Historic Cairo Rehabilitation Project, told Ahram Online that the restoration project is funded by a grant from the Prince Claus Foundation. Abdel-Aziz explains that the restoration project will be executed in two phases. 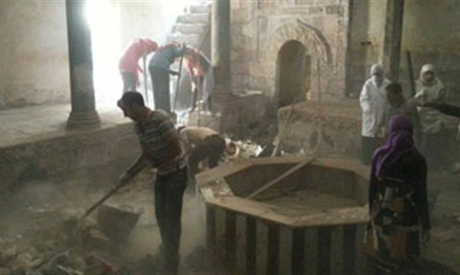 The first will include the removal of all dust and garbage accumulated around the site and the consolidation of the bathhouse walls from inside and outside as well as the oven area, while the second phase will include the restoration of the building and its decorative elements. The Al-Sharaybi bathhouse was constructed during the rule of Sultan Qonsua El-Ghouri in 1500 AD and is located in the El-Ghouria area. The Moroccan trader Mohamed Dada Al-Sharaybi was the original owner of the bathhouse. "Once, museums were about having people go through it, they charged copyright fees and prohibited photography to protect their data, whereas now they see themselves as the transmitter of that data," Adam Lowe, the founder of the specialized 3-D printing organization Factum Foundation responsible for resurrecting the Seti tomb, told The Daily Beast. Art, after all, is "not a dead thing that you appreciate for aesthetic value—it's a totally living thing, and with tech, we can really study things with great depth and intimacy." As part of the Theban Necropolis Preservation Initiative, a section of the tomb of Seti I that is being recorded in Luxor will be reproduced to be installed in the Antikenmuseum in Basel in mid-end 2017. The facsimile will then be transported to Luxor, where it will be installed in its permanent location at the Valley of the Kings. The sarcophagus recorded in the John Soane museum will also be reproduced in Alabaster as part of this exhibition. Factum used 3-D scanning and printing to recreate Seti's tomb. In doing so made a serious revolution in the antiquities preservation field, which has for years relied on cosmetic alterations. The Basel exhibition, by contrast, uses over 6,000 fragments and years of collected data to put together the 3-D printed sarcophagus, as well as a facsimile of the tomb chamber, that uses soft light to highlight depictions of the pharaohs and their holistic, nature-based counterparts in the parallel, divine realms. The Seti tomb was first discovered 200 years ago by the Italian explorer Giovanni Belzoni, described by Lowe as a "larger-than-life Indiana Jones figure." Belzoni, like his fellow members of the European colonialist elite, saw the riches of Egypt and other Middle Eastern countries as their birthright, and freely used wax to peel off reliefs from the chamber walls. Belzoni and his colleagues took home priceless souvenirs, which ultimately ended up in the Louvre, the British Museum, and the Pergamon Museum in Berlin. Seti's sarcophagus was housed in Sir John Soane's Museum in London since 1824, when it was bought for £2,000. 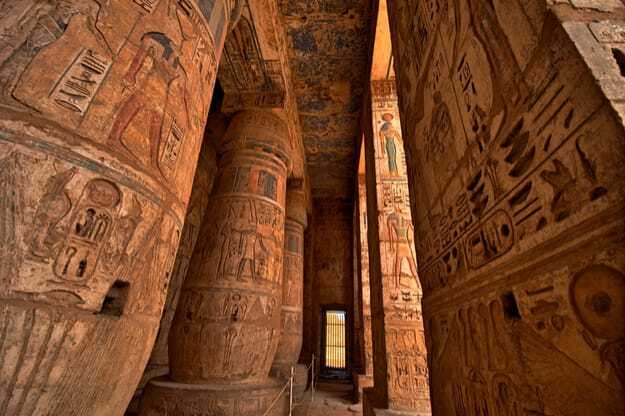 Back in Egypt, the tomb chambers themselves were left bleached and in ruins. "Europe kind of screwed up Egypt and many of the other places it's colonized, and their antiquities," Anliker said. "Now they're trying to make up for it in their museums." As part of the Theban Necropolis Preservation Initiative, a section of the tomb of Seti I that is being recorded in Luxor will be reproduced to be installed in the Antikenmuseum in Basel in mid-end 2017. Indeed, a list of private and corporate donors are footing the Seti 3-D printing project. Anliker said that Basel's unique recent history as an art-obsessed town (there are more than three dozen art institutions boasting works by Frank Gehry, Zaha Hadid, and other international art luminaries—many under the auspices of Swiss banks and pharmaceutical companies) makes it a fitting temporary home for the Seti project. Basel's financial resources are sorely needed in Egypt, a country that has been hit by years of political tumult and, making cultural heritage preservation an increasingly Sisyphean task. It is also coming at a time when the Muslim world's ancient pieces are increasingly under attack by extremist jihadi groups. In 2014, when ISIS destroyed much of the ancient Syrian city of Palmyra, and in 2015 when it bulldozed a 2,500-year-old temple in Nimrud, Iraq, an international outcry to save the world's cultural heritage translated to little on the ground. Last year, the group released a propaganda video threatening to destroy the Egyptian pyramids, which they condemned as the site for "heretics." But where international organizations like UNESCO have largely failed to protect the world's most treasured art, smaller initiatives like the Factum Foundation have, almost miraculously, used 3-D scanning and printing to create an entirely new approach. As part of the Theban Necropolis Preservation Initiative, a section of the tomb of Seti I that is being recorded in Luxor will be reproduced to be installed in the Antikenmuseum in Basel in mid-end 2017. The facsimile will then be transported to Luxor, where it will be installed in its permanent location at the Valley of the Kings. The sarcophagus recorded in the John Soane museum will also be reproduced in Alabaster as part of this exhibition.That approach is successful in Egypt only "because the Egyptian teams are invested in the long-term preservation of the site, because they see the survival of the site as the survival of their own communities," Lowe said. 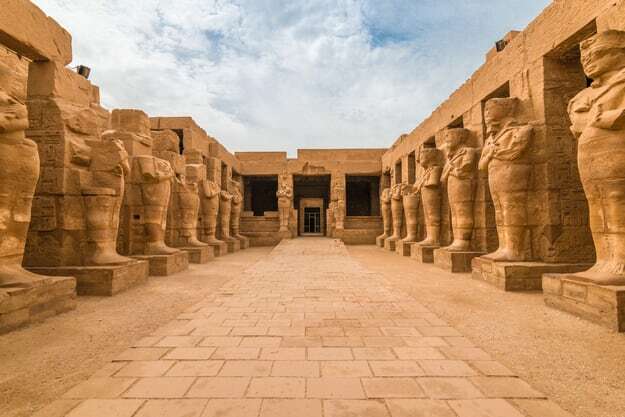 When the exhibit closes in May, the 3-D printed sarcophagus and tomb room facsimile will be transferred to the Valley of the Kings, the maze-like network of pharaonic tombs in southern Egypt, along the Nile River. 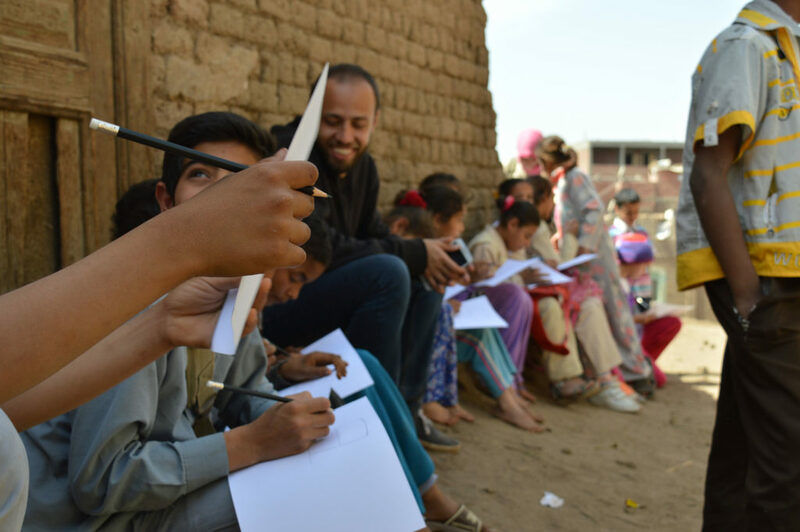 "Like any technology at first it is a bit hard for people to understand the purpose of our work, but as we work more and they see the results of our work they are extremely fascinated," she described Egyptian response to Factum. 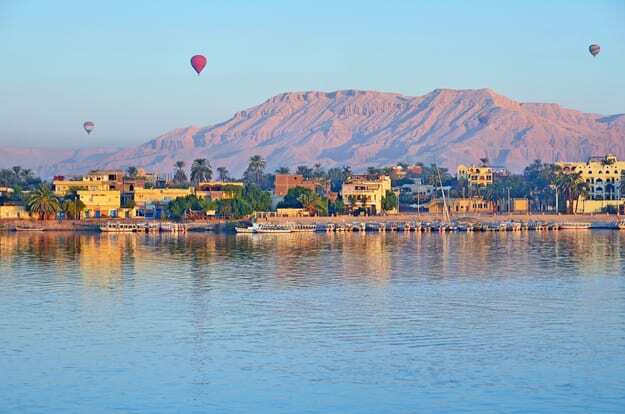 "Many of the local community in Luxor are looking forward to engaging with us and learning more about the methods of digital heritage preservation." Andrea Bignasca, director of the Antikenmuseum, said that pieces like the Seti tomb are crucial to creating cultural unity on a local Egyptian level and, in parallel, could provide valuable lessons to the world's hyperconnected, hyperglobalized community. "People today can be in Basel one day, New York the next, Cairo the next, but I'm not sure they know where they come from, their traditions," he said. "You're confronted with the fake news, and you have to choose all your information. But Seti, for example, is something to touch from antiquity, for us to point to and so, OK, this was really so." 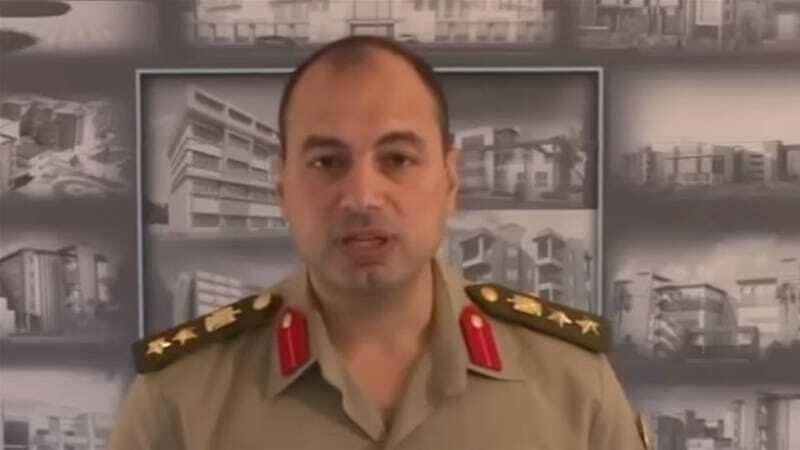 A military court in Cairo has sentenced an Egyptian army colonel to six years in prison after he announced his plans to run for president next year, according to his lawyer and local media. Ahmed Konsowa was given the jail term on Tuesday for "stating political opinions contrary to the requirements of military order", his lawyer, Asad Haykal, was quoted as saying by AFP news agency. The colonel was called in for interrogation and handed a 15-day detention order after announcing late last month in a 22-minute video his intention to run against President Abdel Fattah el-Sisi. Following his detention, Haykal told local media that the charges against Konsowa included violating military code and publishing a video in which he espoused political views. In last month's video, Konsowa, who was donning his military attire, said that he was "proudly" declaring his candidacy. "I have decided to unlock the current political deadlock," he said. In his announcement, the colonel also said that he had been attempting to resign from his army position since March 2014, but that his "resignation had not been accepted". "It's not a secret that I've spent more than three years and a half in courts, suing the government in 11 lawsuits, struggling in a very disappointing legal battle, to get my political-participation constitutional right to run for various elections." Konsowa also said the country was witnessing "crucial circumstances" with the "threat of terrorism" and criticised what he called "inappropriate, counterproductive and outdated policies" which "fuel extremism and discontent in the most populous nation in the tumultuous Middle East". Egypt is due to hold presidential elections in March or April next year. A former army chief, el-Sisi led a military coup in July 2013 to overthrow Mohamed Morsi, Egypt's first democratically-elected president, following mass protests. Two years earlier, during a wave of popular uprisings that swept across the Arab world, the Egyptian people had overthrown the 30-year dictatorship of President Hosni Mubarak, in what became known as the January 25 revolution. In March 2014, el-Sisi resigned from the army as he declared his candidacy for a presidential election later in the year, which he won in a landslide. The political and social upheaval of the past six years has plunged the country into an economic crisis and given rise to deep divisions. Under el-Sisi, Egypt has imposed a wide crackdown on dissidents, including a law banning demonstrations without prior police approval. The government has also passed legislation criminalising the work of many non-governmental bodies, placing them under the direct surveillance of the country's security apparatus. A Cairo-based political commentator, who has asked to remain anonymous for fear of reprisals, said he believes Konsowa was sentenced "because in Egypt there can be no real power-sharing or transfer of power". "Egyptians love their military and so to have someone competing from within the military may divide it," he told Al Jazeera. "Ahmed Konsowa is the antithesis of Sisi - he's smart, well spoken, educated and supports the January 25 revolution. He presents Egypt with an alternative ... and the idea that an alternative may exist is threatening to the Egyptian regime," he said. Along with Konsowa, both Ahmed Shafik, the country's former prime minister, and Khaled Ali, a prominent lawyer, have voiced their intent to challenge Sisi in the upcoming elections. Hours after announcing his plans on November 29, Shafik said in an exclusive video message to Al Jazeera that he had been blocked from leaving the United Arab Emirates (UAE), where he had been residing since 2012, for reasons that he did not know or understand. Earlier this month, Shafik was deported from the UAE, returned to Egypt and said he was still considering running for election. Ali, who is seen as el-Sisi's top competition, was also convicted in September on charges of public indecency - a move that rights groups condemned as "politically motivated" to eliminate the president's rivals in the elections. Ali has since appealed, but if the conviction is upheld, he could be disqualified from running in the elections. The response of the Ministry of Antiquities on using an exploration robot inside the Grat Pyramid of Giza. He asserted that the ministry of Antiquities and the Permanent Committee of the Ancient Egyptian Antiquities didn't give any approval for the production or usage of an exploration robot inside the Great Pyramid for the French researchers or any local or global entities. Even, he continues, there is not any agency or organization or association or Institute or anybody have asked for such request. Whatever happened to Alexandria's legendary corniche, once described as the most splendid in the world? Today one cannot pass along the corniche without taking in major construction sites, concrete blocks, excavators and cranes that almost if not completely block the sea view. Despite the drastic changes to the coastal city that have taken place over the decades, a walk along Alexandria's corniche on an autumn morning remains a joy for the soul. One can catch glimpses of the city's former glory and the faces of those forgotten Alexandrians, Greeks, Italians and Jews and others from around the Mediterranean and from Egypt itself, whose energy helped to develop the city. This was the evocative city celebrated by the Greek poet Constantine Cavafy and the British novelists E M Forster and Lawrence Durrell remembered by author Michael Haag in his book Vintage Alexandria (2008). Haag describes Alexandria as a city that "belonged as much to the Mediterranean as did Athens, Naples and Marseilles. In the hinterland beyond the waters of Lake Mariut, the ancient Mareotis, lay Egypt, from which the cosmopolitan city stood apart. Alexandria ad Aegyptum was what the ancients called it, Alexandria near Egypt, like an island off the shore, not in Aegyptum but absorbed into Egypt." "In 331 BCE, Alexander the Great himself laid down the plan of the city that was to bear his name, but as there was no chalk to mark the ground he sprinkled barley to indicate the alignment of its streets and where its markets and temples should be and the circumferences of its walls. Then suddenly huge flocks of birds appeared, and to Alexander's alarm all the grain was devoured by the birds, interpreting the occurrence as a sign that the city would have not only abundant resources of its own but would also be the nurse of men of innumerable nations." Today Alexandria residents are split between those who believe in the benefit of the new construction projects on the corniche, such as the recently opened Al-Salam Bridge in the Sidi Gaber district, opened last May as part of a number of projects aiming to develop this part of the corniche, and those who don't. The bridge aims to raise the level of the corniche, building a new road without any intersections completely separate from it. Other projects include a 30-storey hotel, a garage, and an amusement park. However, the bridge leaves a number of Mustafa Kamel residents with no view of the beach, particularly those living on the first three floors. Instead of opening their windows to take in a beautiful view of the corniche, today they look at ugly concrete blocks that are part of a huge construction site that has deprived them of their view. Officials say the new projects will have a major effect on the city's revenues and will create thousands of new jobs as well as help eliminate traffic congestion. But others have termed the ongoing projects "architectural scandals", with various rumours circulating on social media. Former governor of Alexandria Reda Farahat apologised for not "clarifying some facts about the construction taking place on the corniche" when discussing the new bridge, and he stated at a press conference attended by some MPs last November that "the public has every right to know how the project will benefit the city." The bridge opened to the public in May, and it is only part of a major tourist development under the supervision of the government that includes a multi-storey garage, an amusement park and a hotel. Despite efforts by professors at Alexandria University and heritage professionals to stop the construction of the project, claiming that it will ruin the city's architectural design, it has gone ahead. 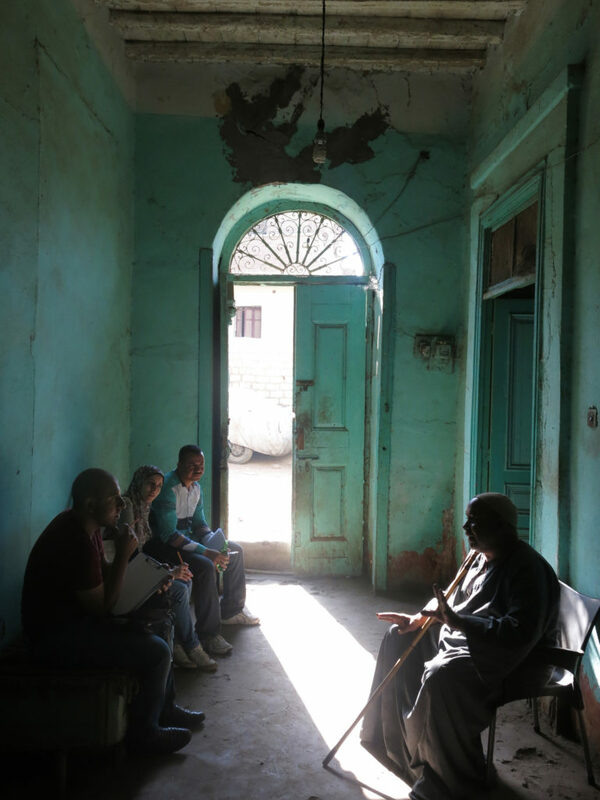 Rasha Al-Tahawi, a resident of the Mustafa Kamel buildings in Sidi Gaber, said "I cannot imagine opening my balcony windows each day to see a bridge instead of the beach. What has happened to our rights as residents of this area who have grown up here? What have we done wrong to see our beautiful heritage taken away from us just for the sake of a project that we do not know the first thing about?" However, Youssef Zuweil, also a resident of Sidi Gaber, believes the project will be an asset to the city and will attract more tourists. "I already feel the difference in the traffic, but I do blame the government for not announcing the start of the project more clearly. We just woke up one morning to be surprised by what was going on. We should have been informed earlier," he commented. Haitham Awad, a professor and researcher at Alexandria University, stated in an interview with the Al-Shorouk newspaper last December that "the ongoing projects are huge. They may have a temporarily negative impact on the look of the corniche, but people are starting to feel the good side. This is becoming more tangible every day, and it will be clear to all after it is finished." NO WARNING: Former dean of the Faculty of Architecture at Alexandria University Hisham Seoudi explained in an interview on CBC that "Alexandrians were devastated by the Sidi Gaber project because they were not given the details before the beginning of the construction." "I was one of those, but when the governor explained the project, starting with the Al-Salam Bridge in May and the rest of the projects currently being constructed in the Sidi Gaber district, and how beneficial they will be to the city, I was relieved. The governor also said that the residents will retain their sea view." Ayman Al-Alfi, an environmental policy professor at the University of Minnesota in the US, said the problem was not about one specific project or another, but rather about the long-term impact of projects that had not been researched thoroughly before the beginning of the construction. "We have a civic responsibility and an environmental responsibility to our country. Do we really know enough about the studies conducted on these projects? Has the public been informed of how long it took to research the impact of such projects on the coastline," Al-Alfi asked. He said the government had ignored people's right to enjoy the beach and had allowed businessmen to buy up parts of the corniche in the Al-Shatbi district and build restaurants and cafés that average Egyptian families could not afford. Another project that opened in May and has taken up a large part of Al-Shatbi beach where people used to enjoy sightseeing and fishing or just sitting by the sea is the Casino Al-Shatbi. This part of the beach and corniche was apparently sold to a businessman in 2010 and part of the contract included building a garage. "The construction of the garage does not violate the terms of the contract," Ahmed Hegazi, head of tourism in Alexandria, said in an interview with the Al-Youm Al-Sabea newspaper in March. However, Al-Alfi said that while the construction may not violate the terms of the contract, "it violates public property rights and destroys the nature of the coastline." Salah Haridi, coordinator of the Save Alexandria's Beaches campaign, a local group, explained in an interview with Al-Nahar TV that the group was not against investment to help the tourism sector, but it did want to protect public property rights. Al-Shatbi used to be a public beach, but today it had been taken into private ownership, he said. "We are calling for a new strategic plan for the whole corniche. We need to work hand-in-hand with civil society, environmental groups and experts to ensure real development for a city that has more than six million residents who have very few public beaches left for them," Haridi said. Nadine Al-Sayed, also a member of the Save Alexandria's Beaches group, said she had been shocked by the sight of concrete during the construction of the Casino Al-Shatbi. "It was horrifying particularly because all the residents of Al-Shatbi district know that there used to be a beach suitable for swimming in this area. I am devastated by this playing with nature. We should be able to develop and invest in our coasts without damaging them. We are not being grateful for the treasure God has granted us," she said. A study conducted by the National Water Research Centre in 2014 found that the coastal city was very attractive for tourists and entertainment. However, the beaches along the coast were not always fully suitable for recreational activities due to their physical and morphological characteristics. And this situation had led to the unsupervised construction of artificial facilities along different parts of the coast. Much of the work has had negative impacts, and available satellite images from the last 10 years have been used to evaluate shoreline changes as a result of the artificial structures, along with coastal surveys. The latter have identified problems, summarised research efforts on sustainable development and specified research for the future. The coastline can be divided into two main parts, undeveloped and developed. The undeveloped areas are divided into flood-affected and flood-unaffected areas, with the developed areas representing the major towns along the coast. Monitoring of the undeveloped areas shows that they have dynamically stable shorelines. But observing the developed areas reveals that the coastal structures in these areas have had a significant impact on the shorelines, the report said. Another study on coastal protection and development carried out in the Netherlands in 2002 explained that as the second-largest city in Egypt Alexandria was facing two main problems resulting from natural and human activities: beach erosion and pollution. "Significant erosion occurs along most of Alexandria's beaches as a result of sediment starvation, coastal processes and sea-level rises. One of the most serious threats to the coastal zone comes from inland pollution sources, including the Mariout Lake and sewage pipelines. As a result of increasing population and industrial development, untreated industrial waste, domestic sewage, shipping industry effluent and agricultural runoff are being released to the coast," the report said. "With the rapid increase in industry and population, changes in water quality could have potential consequences for the rapidly growing population of the Alexandria region. Recommendations for environmental recovery and restoration are proposed for the preservation of Alexandria's resort beaches and harbours in order to facilitate the development of environmental and tourist activities." A number of studies for the protection of the Alexandria beaches followed, and priority has been given to the problems of the corniche. A study was carried out for the Ministry of Housing in 1998 on the redesign of this coastal highway, indicating the need to widen the corniche road. "A new design for the seawall protection was made, in order to overcome overtopping and erosion problems. The widening of the coastal highway extended between Montaza in the east to Al-Silsla in the west over a length of approximately 16km. The highway protection has been completely redesigned in order to limit erosion and overtopping problems," the report said. "The parapet wall should not exceed 60cm for aesthetic reasons. There was a requirement from the public to increase the width of the coastal promenade. Those practising fishing as a hobby required some access to the sea. New coastal highway protection has been selected in the form of slope protection. Concrete cubes, of volumes of 2.45m3 and 4.9m3 depending on the water depth, have been used as armour protection placed on a slope. The parapet wall, 60cm high, has been placed on the inner edge of the quarry run bund. Seaward of the wall, concrete has been placed on top of the quarry run bund and the under-layer. The berm in front of the slope protection is used for those practicing fishing as a hobby. The widening of the highway and construction of coastal protection works started in 1998 and was executed in phases, each phase extending over 5km." "In 2001, the project was completed. In 2000, a very severe storm occurred, and a small amount of overtopping discharge was noticed on the landward side of the new parapet wall, proving the effectiveness of the design," the report said. Al-Alfi comments of the 1998 study that "of course some of these developments were necessary and were studied thoroughly before being put into effect. We all remember what it was like driving along the corniche before it was widened. We may not see the short-term effects of the developments, but we do not have a clear view of the studies conducted for them". GLOBAL CHALLENGES: Environmental challenges to watch out for in many coastal cities of the world today include the effects of global warming on water levels. According to UN estimates, "global sea levels will rise between 13cm and 68cm by 2050, and the Mediterranean is particularly vulnerable — by 2080, up to 120,000 people living near the sea could be affected by rising waters if no action is taken to protect them." 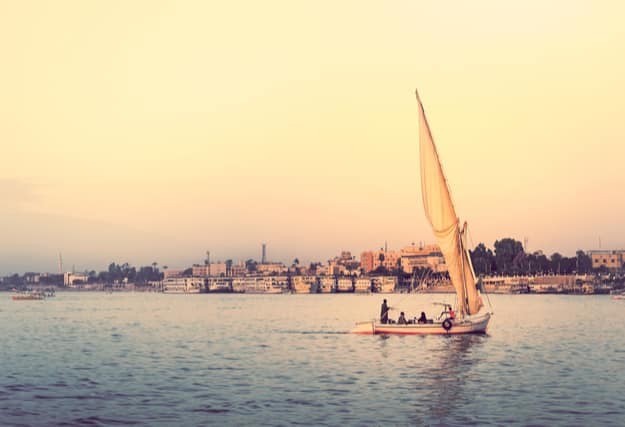 In 2007, the World Bank estimated that 10.5 per cent of Egypt's population could be displaced by rising waters caused by climate change. Many of the businesses by the coast in Alexandria have taken precautions against extreme weather conditions, but mostly without paying attention to climate change. "The coastal waters are inching closer to buildings and flooded ancient structures, including the Graeco-Roman tombs at Anfushi. Seawater seeping into the groundwater has also made the fragile ground more unstable, resulting in the alarming collapse of some of the city's buildings," one report said. Last May, Alexandria residents were devastated by the sight of the demolition of the cabins at Stanley Beach, known for their unique architectural design. In August, the governor of Alexandria announced that the company in charge of restructuring the Stanley cabins had damaged the beach by not removing solid sand. He said the Alexandria Tourism Company has won the tender to restructure the Stanley Beach in an auction held by the Central Administration for Tourism, with a bid of some LE15 million. Officials have said that the removal of the cabins has meant that people from all social classes can now enjoy the Beach. According to the newspaper Al-Mal, some 10 other beaches in Alexandria will be put out to tender with the aim of building new cabins for people to enjoy. However, Al-Sayed commented that "we still have only a very vague idea of what is going on. We need transparency in order to be able to work together, both with the government and civil society, to help preserve our beaches and to develop them." Fwd: Welcome to a New ARCE Director for Egypt!